Wow! I can’t believe it’s been 3 weeks since I’ve posted. I’ve been quite busy. I spent a weekend at the beach with the Triangle Modern Quilt Guild. 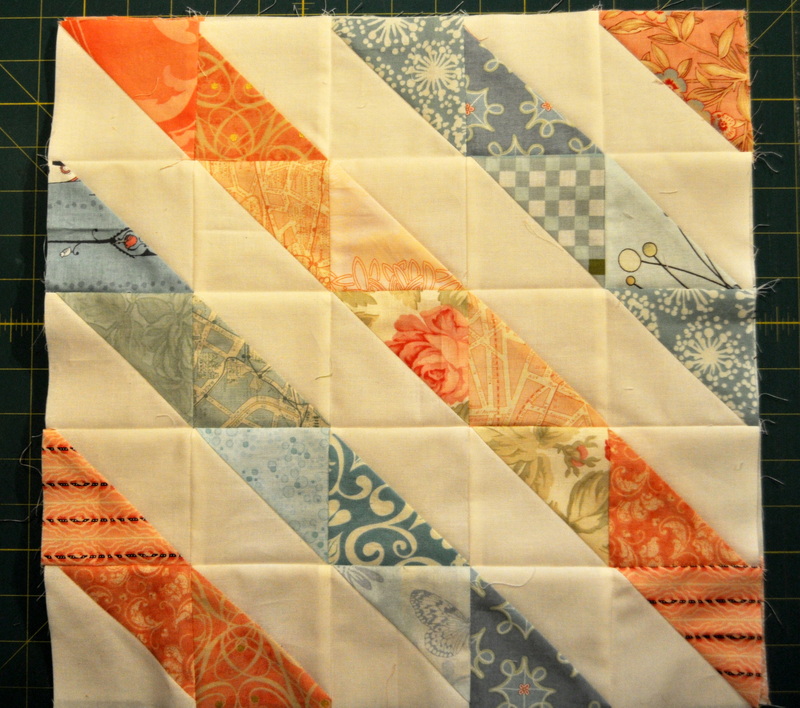 I enjoyed a full weekend of sewing and getting to know other quilters. We all had a great time! 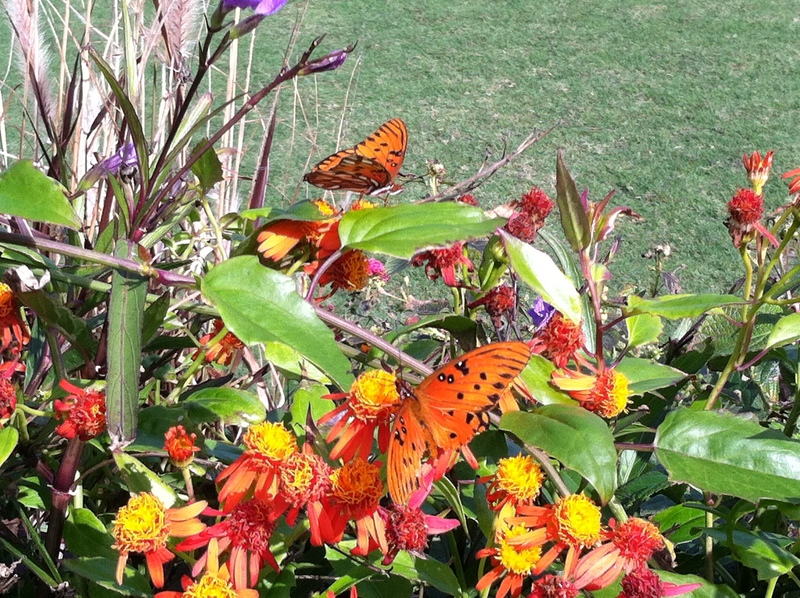 And I did make time for a walk on the beach each day and a little bit of butterfly watching. Then I spent four days in Connecticut for continuing education. A weekend working in the garden to clean it up from the summer crop. 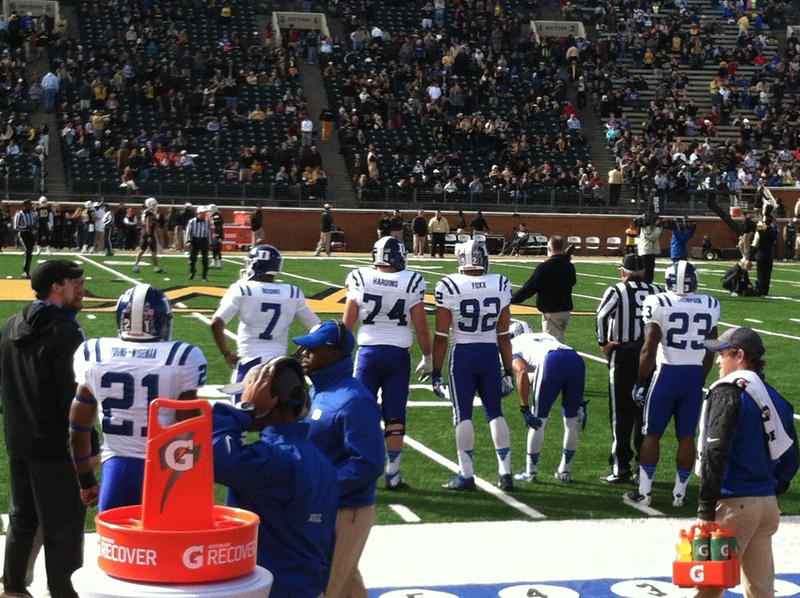 Then the Duke/Wake Forest football game last weekend. In the midst of all that and working, I was able to finish up all 1200+ half-square triangle units. 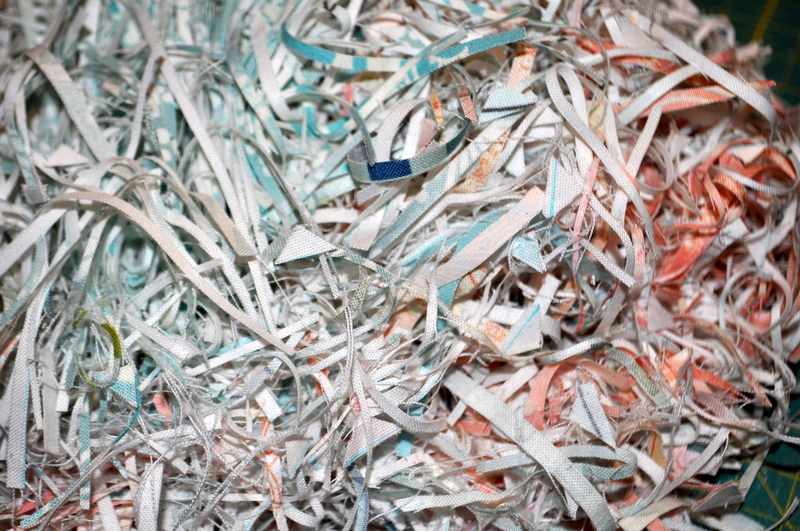 Phew… that was a huge job! And the pile of trimmings was almost as big. And I’ve made a few blocks already. These are 15″ blocks so things should move faster from here on out. 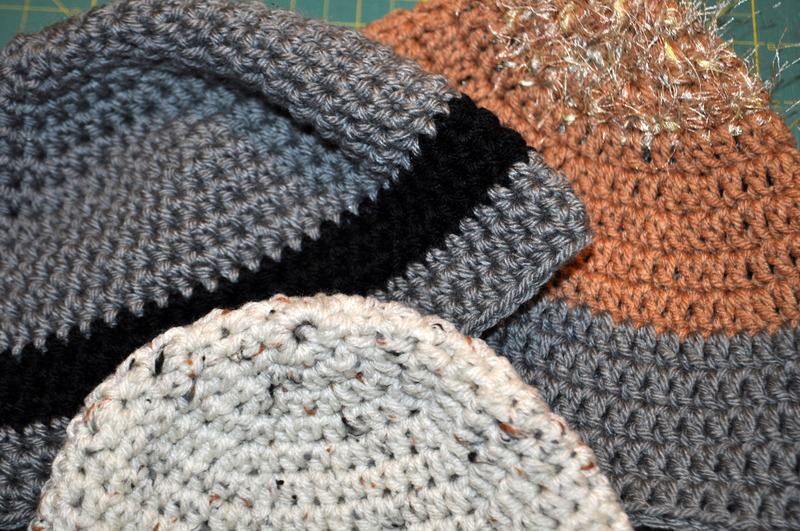 I also added some crocheted hats to my to-do-list for Christmas gifts. These will be for a few little boys and will have a few things added to them before they are finished. 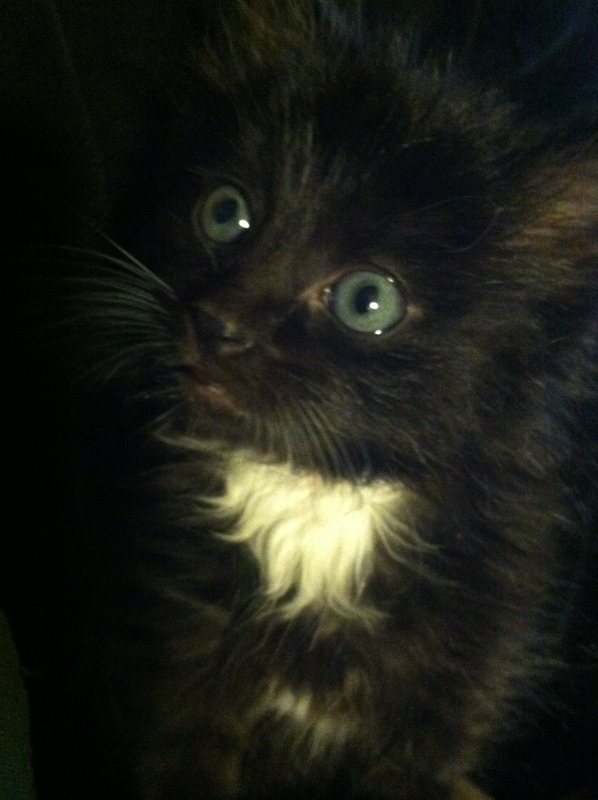 Yesterday, honeyman brought home this sweet little kitty for me. Oh, how will I ever get anything done now? When he’s awake, I want to play with him, and when he’s asleep he loves to sleep on my lap or just under by chin. It’s not real easy to sew with a cat sleeping on you. And we’re still trying to name him. I’m thinking Soloman. Do you guys have any ideas? So, I guess that’s my update for now. Thankfully, we’re not traveling this weekend, so hopefully I’ll get lots of sewing done after lunch tomorrow — IF I can put the kitty down. What plans do you have for Thanksgiving? This entry was posted in Crochet/Knitting, Family, Quilting/Sewing and tagged butterfly, cat, Duke, football, half square triangle, HST, kitten, kitty, quilt by monkeyneedle. Bookmark the permalink. Your HST’s look good! I like that color combo. Thanks so much! I’m not sure yet about the color combo — afraid it’s looking too much like early 90’s. Hopefully it will all look really good once it’s all been put together. Thanks for the visit. Happy Holidays! Your quilt colours are looking good. 1200 hst is huge! Must be good to have that bit of the sewing and trimming behind you. Should be a queen size when done. It is good to have all the trimming behind me, but putting the blocks together is still taking longer than expected. Thanks for visiting. Happy Holidays! 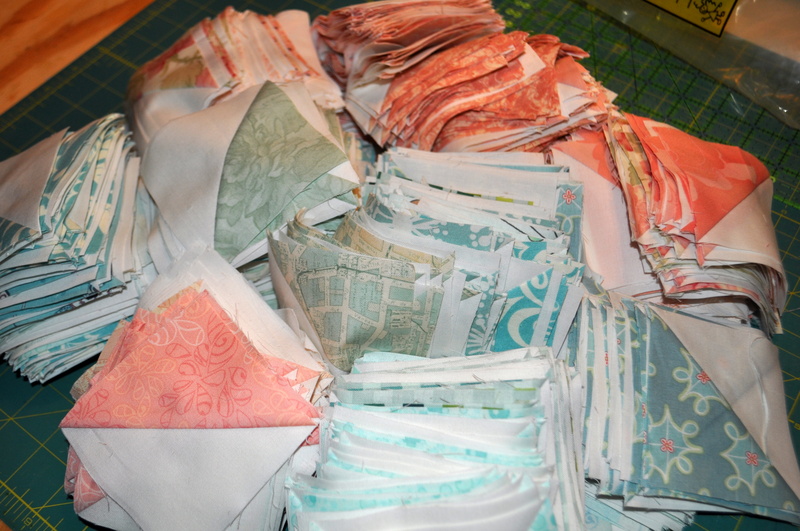 What refreshing colors for your HST’s! Good for you in finishing all the prep work for them!